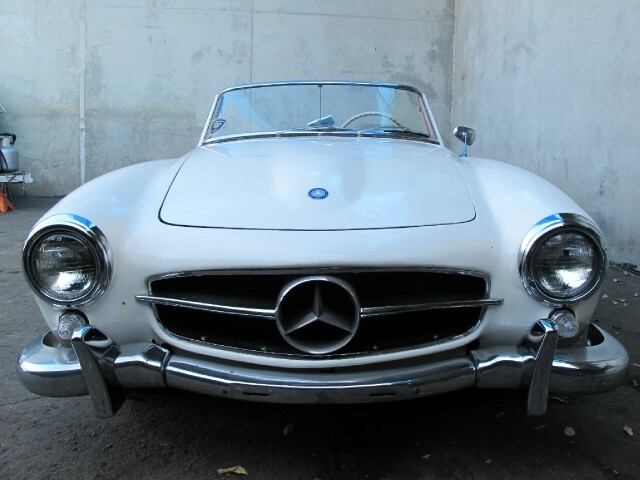 If you are looking to buy the classic Mercedes 190SL, the Beverly Hills Car Club has what you're looking for! Designed with savvy car collectors in mind, you will find a wealth of information on the website regarding the Mercedes 190SL automobiles, 190 SL's for sale, and many others. Developed in 1955, the Mercedes 190SL was designed to give everyday consumers a stylish version of the more powerful Mercedes 300SL. Unveiled as a prototype at the 1954 New York Auto Show, the Mercedes Benz 190 sl was introduced as a grand touring convertible, with a removable hardtop, and continued production until February 1963. Although the 190SL was structured similar to the 180 sedans, it had a number of significant differences. Those differences included a new 1.9L four-cylinder engine and popular “fender eyebrows” above the wheelhouses that were chromed on later models. Looking to purchase a Mercedes Benz? The classic and vintage autos bought and sold by the Beverly Hills Car Club combine all the elements of our exclusive address. Elegant, chic and sophisticated, with exceptional attention paid to their functional integrity and stylish perfection, you will not be disappointed by the selection of fine autos available to you. Whether you are looking to buy Mercedes 190 SL autos, buy other classic Mercedes, Jaguar, Porsche, Austin Healey or any unique auto from the 1950's to early 1970's, our team stands ready to assist. The autos sold by The Beverly Hills Car Club reflect the best of todays most highly sought-after models and designs. If we dont have what you are looking for, we will find it for you! To learn more, or to buy Mercedes 190 SL automobiles, please do not hesitate to contact us today. We look forward to hearing from you and to helping you find the car of your dreams. Contact us today to get started! For help buying, or to sell your vintage Mercedes, team with the best classic car dealership in LA, www.BeverlyHillsCarClub.com. Our team knows exactly what makes these classic cars special, and will connect you to your dream car! We Also Buy Mercedes 190SL's In Any Condition, Top Dollar Paid.